Now that there are dozens of Star Wars and Lord Of The Rings movies, we can safely argue that the Back To The Future series is one of the greatest trilogies in the history of cinema. That’s why it’s a miracle that the fat cats in Hollywood have managed to resist the urge to, you know, touch it. There was a cartoon and a recent video game that acted as a semi-sequel, but there’s been no remake, no reboot, no Jurassic World-style sequel/reboot/remake, and no “special edition” that makes the special effects look really bad. 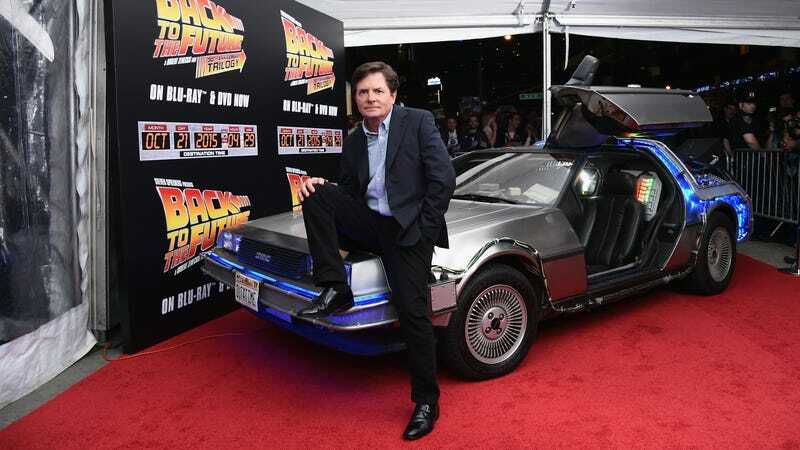 According to a new poll from The Hollywood Reporter and Morning Consult, though, there are a lot of big fools out there who would be interested in seeing something new come out of the Back To The Future trilogy. The survey asked 2,201 adults various questions related to franchises like The Avengers, Batman, Bourne, Die Hard, Indiana Jones, James Bond, and Toy Story, like how familiar they are with the movies and how likely they would be to watch a new entry in the series. 71 percent of the jerks polled said they would be at least “somewhat likely” to watch a new Back To The Future movie, as compared to a stunning 57 percent for The Avengers (43 percent of people are evidently just fine with Thanos wiping out half of all life, so apparently he was right all along). 54 percent even said that they had already seen all of the original Back To The Future movies, compared to just 36 percent for Star Wars, so those responders can’t even claim ignorance about how good the existing Back To The Future movies already are. They’ve seen the three movies and they want more, even though they shouldn’t because the three movies are so good that it would be impossible—for several reasons—to create something new that lives up to them. That being said, there’s a clear pro-sequel lean to these responses, with 51 percent of those surveyed saying they’d watch a new Transformers movie. That’s either a really good sign for Bumblebee or an indication that movie-goers are just mindless sheep who are only drawn to the things they recognize… unless maybe it’s both? Anyway, this is a separate point, but 124 of the 2,201 people surveyed had never even heard of the Transformers movies. Where did The Hollywood Reporter find them and how can we live where they live?